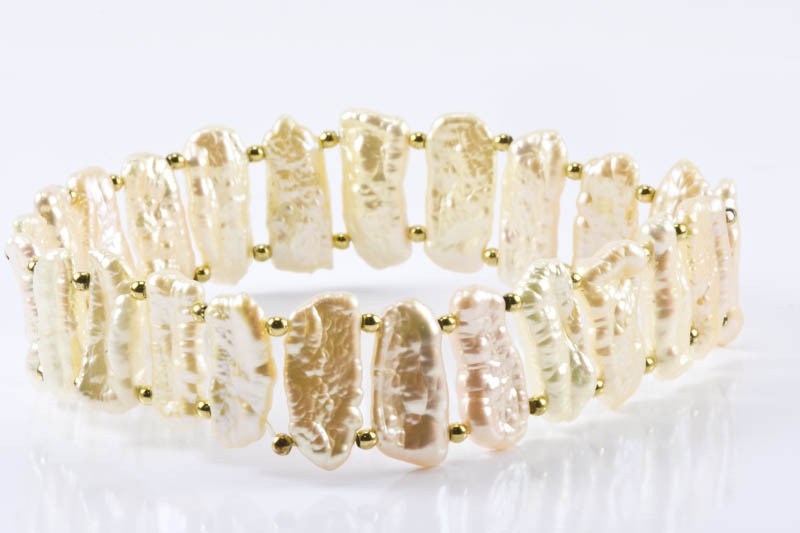 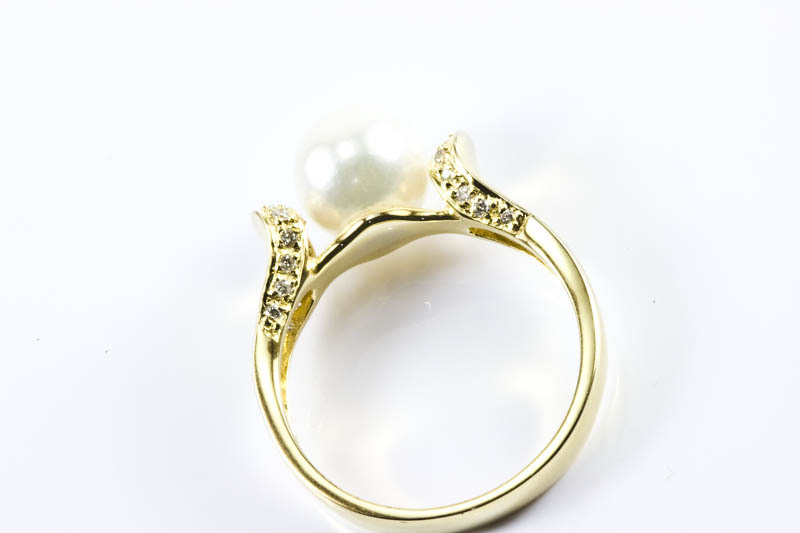 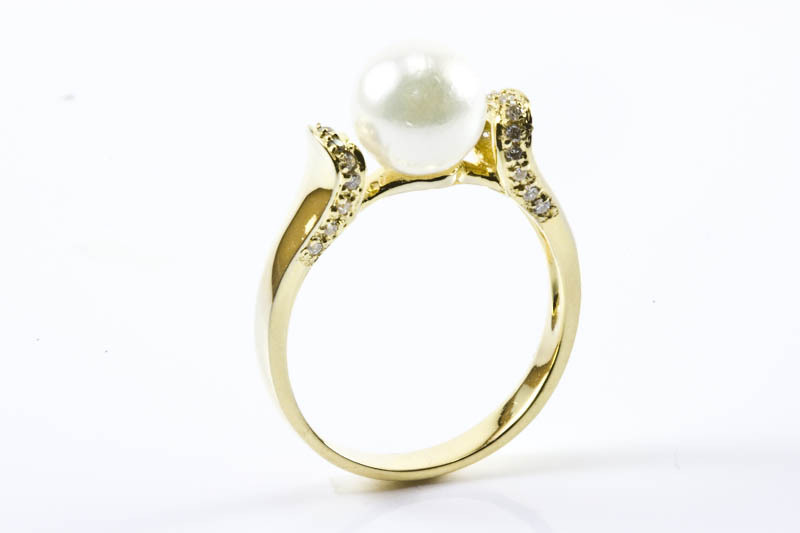 7.5-8mm AAA Grade Japanese Akoya Cultured Pearl Ring, 18 K.Yellow Gold and 0.12ct.Diamond. 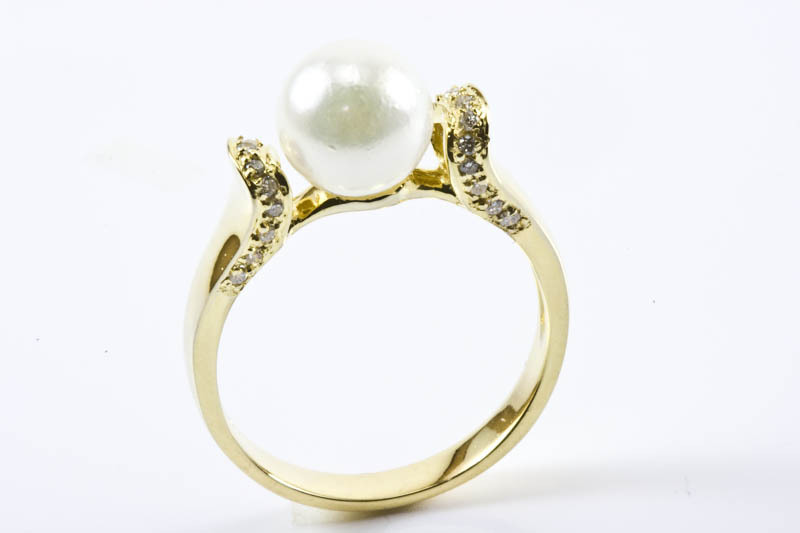 This 18K yellow gold pearl ring weighting 3.25 grams is combined with 26 brilliant round diamonds weighting 0.12 Carats in total. 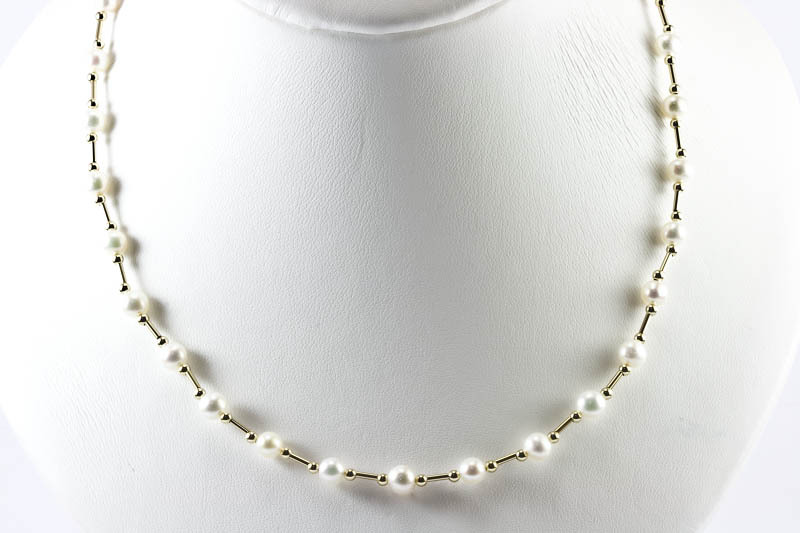 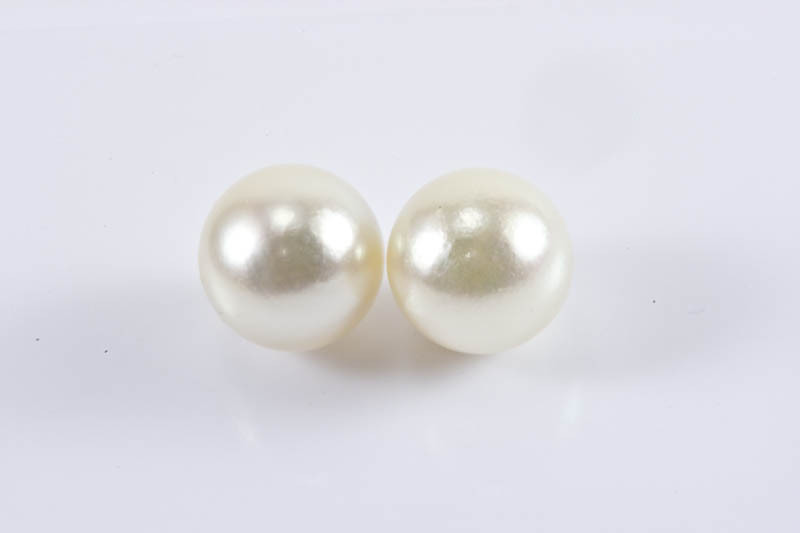 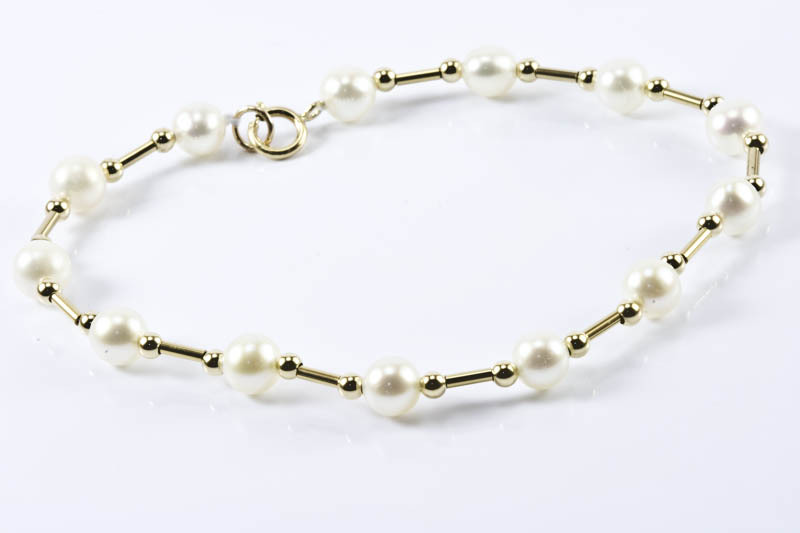 The White pearl is 7.5-8mm in size and AAA in quality. 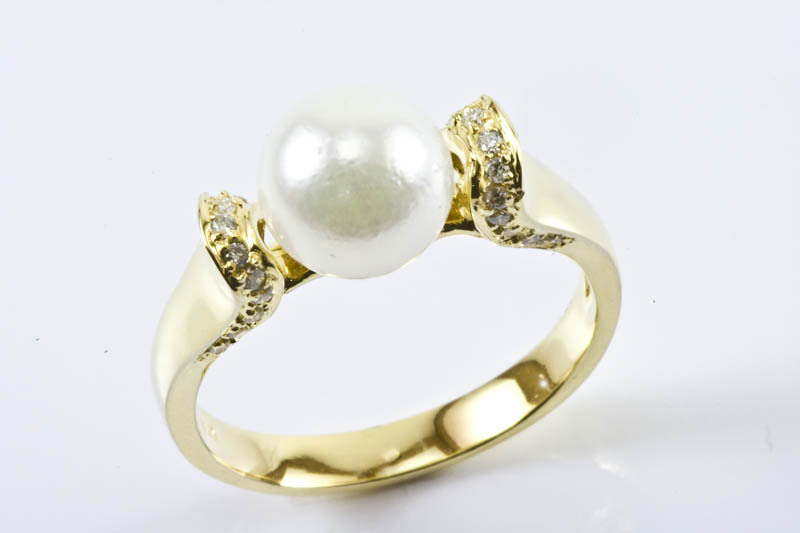 This beautiful pearl ring is perfect as a gift for any occasion and ideal for social or business get-together. 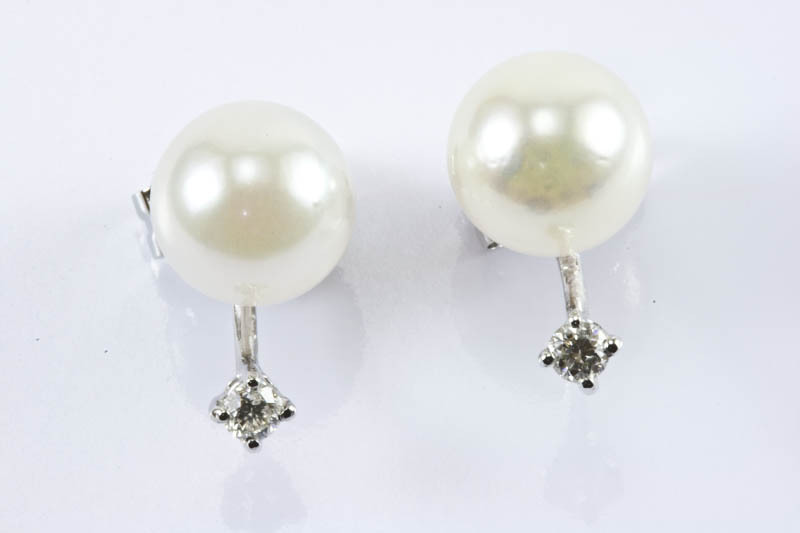 Designed with a taste of sophistication is sure to compliment any attire.